The Top 50 plus dozens of mentions, and secret rumours! We don't follow all the news. 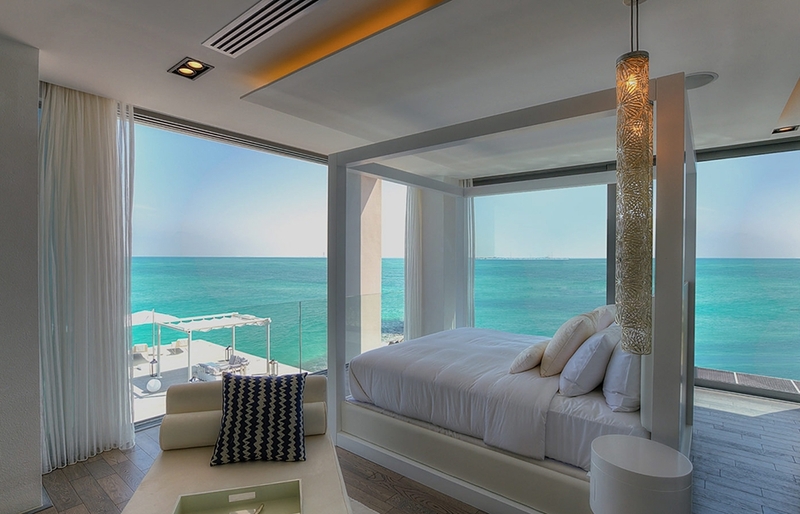 The trick is to follow the right ones—especially since we know pretty well what we want from luxury accommodation. Our Top 50 list reflects this, so don't expect nondescript hotels or crowded package-holidays resorts here. It's a highly opinionated and choosy affair. 2015 looks like a very busy year, for even though our list grew to almost 80 (if you count all the little mentions and links) we could probably go on. But, one has to put a stop somewhere and if we didn’t, we’d run out of space on our bucket list. Discover the ultimate list of the most anticipated new hotels of this year and get inspired for your next trip—like we did. 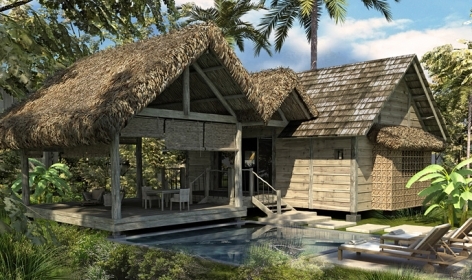 The Six Senses chain is entering new territories, and we are very excited by their first property in Seychelles. Set on the northernmost side of the private island of Félicité, Zil Pasyon can be reached by a helicopter flight from Mahe island or a short boat journey from La Digue or Praslin. 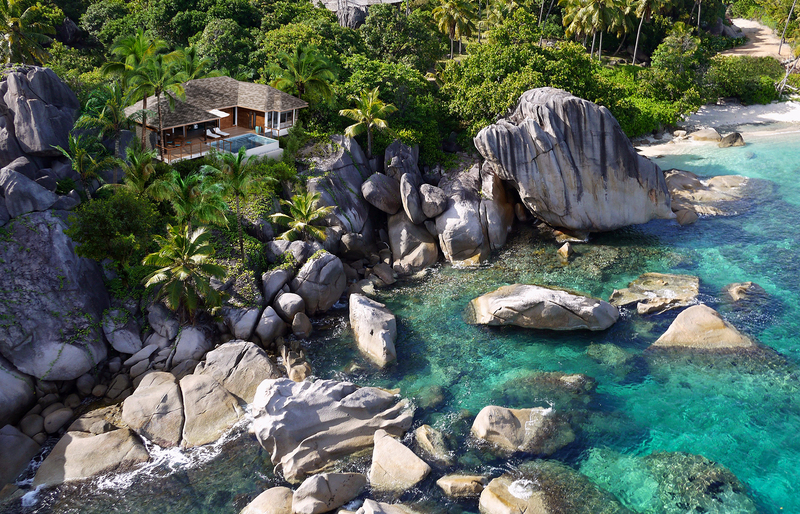 The property features 28 one- or two-bedroom villas and 17 residences, all with private infinity pools… and surrounded by the classic Seychellois landscape of huge granite boulders, tall palms and white sandy beaches. 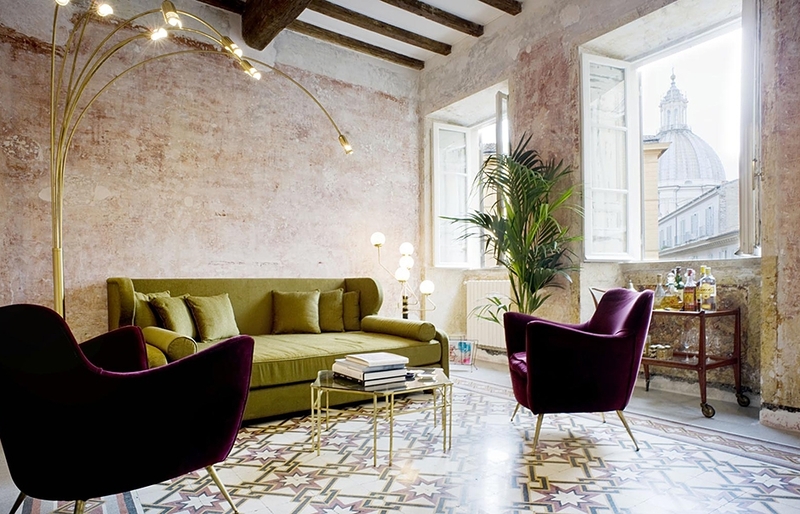 This is a new member of Design Hotels and a sister property to the PalazzinaG in Venice, which we liked very much. 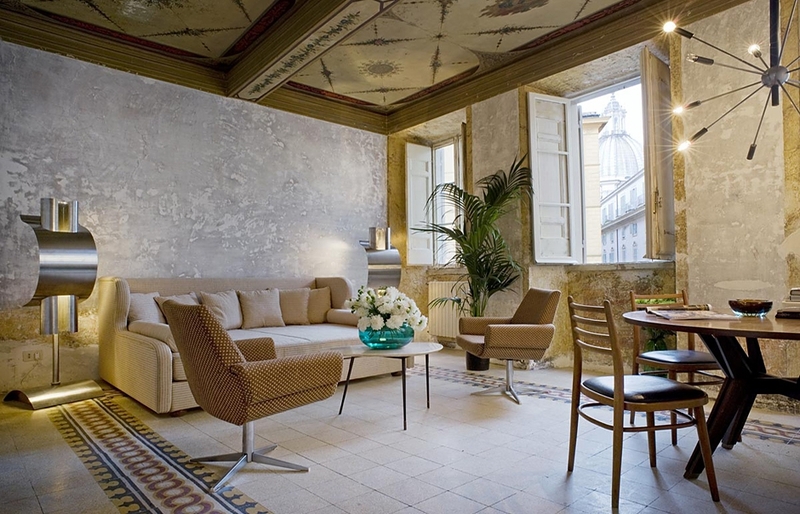 G-Rough is housed in a 16th century building, with a prime location near the Piazza Navona. 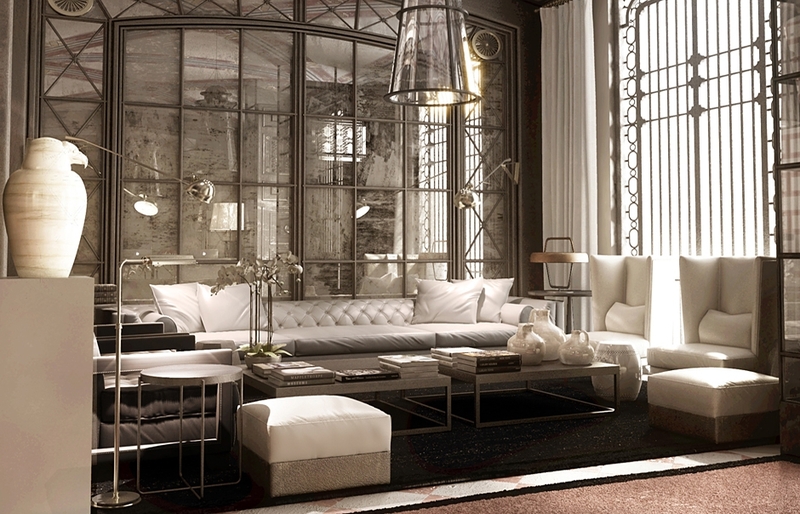 It has an original interior design concept, its five floors drawing inspiration from the 1930s, 1940s, 1950s. The ground-floor café/bar will showcase art from local artists. These unusual shapes are the inventive dwellings of Keemala. 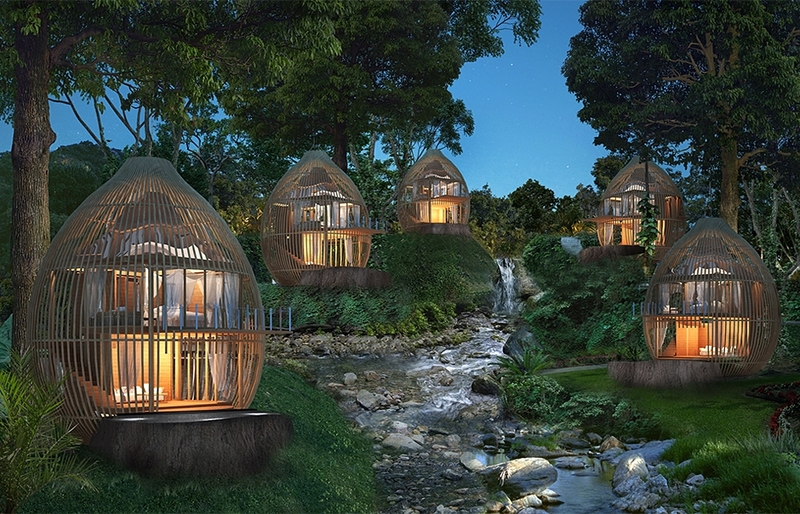 Villas, tents, clay cottages, tree houses and dream-weaved spa units are designed to represent mythical early Phuket settlers. Set in a woodland among trees, streams, and waterfalls and inspired by themes of nomadism, earth, sky, and nests, the 38 guest villas all come with private pools. Jungle walkways connect them with a lobby, common swimming pool, three dining areas, and a spa. The astonishing architecture of this sleek, curvaceous building, set against the breathtaking drama of the Lofoten islands’ landscape is truly an otherworldly sight. 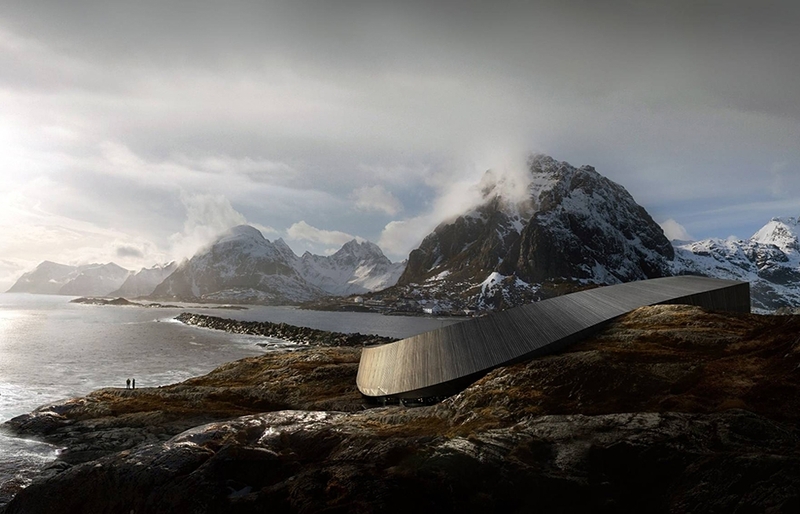 The hotel’s design, by Snøhetta studio, contrasts with wild mountains and expansive sea, making the best use of the panoramic setting. The Lofoten Opera offers hotel rooms, apartments, as well as spa and sport facilities. Opening: late 2015. Photo © Snøhetta. 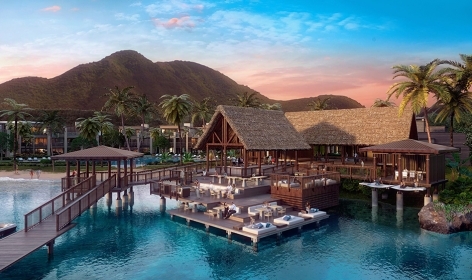 Set on a tropical Caribbean island in The Federation of Saint Christopher and Nevis, the 134-room Park Hyatt St. Kitts will certainly get discerning travellers flock to this idyllic destination in the West Indies. The design blends contemporary trends with a romantic colonial style. Many suites have private rooftop pools and beautiful ocean views over The Narrows, a strait separating St. Kitts and the volcanic island of Nevis. 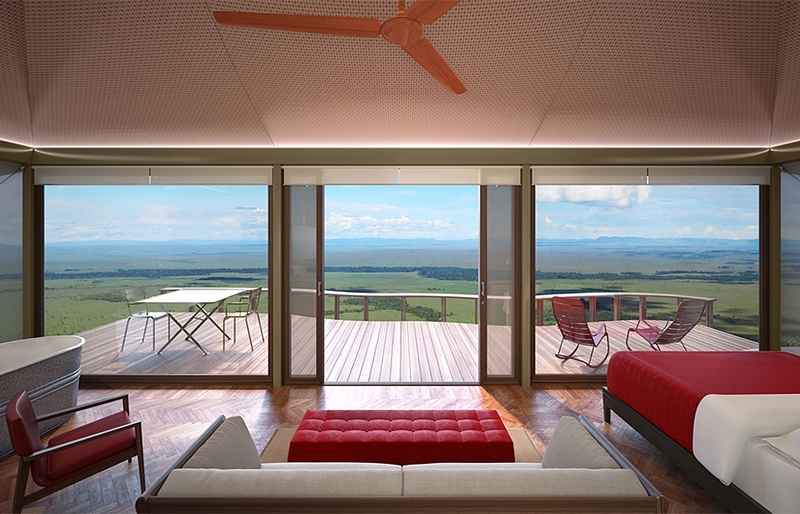 Luxury camping comes to the central Serengeti as the Roving Bushtops mobile camp. 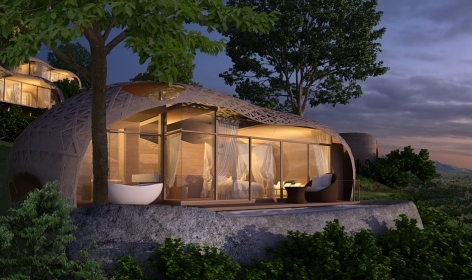 The high-spec tents feature king beds, bath, shower, while ensuring a low environmental footprint. 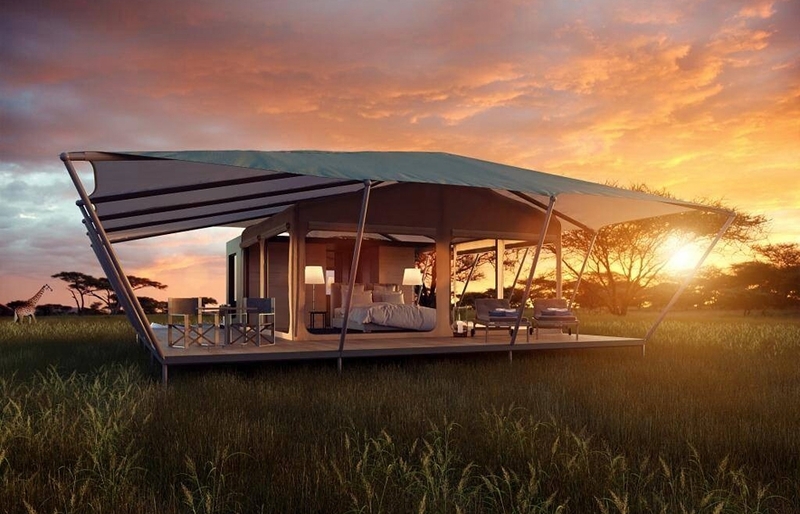 The thrilling experience of living at one with nature in the beautiful tents goes hand in hand with the excellent game drives in the heart of the most popular African wildlife park. 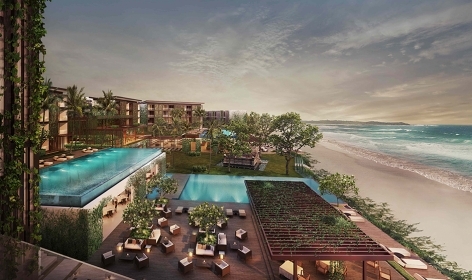 Located in the most fashionable part of Bali, Alila Seminyak is set to open in the first half of 2015. The stylish design and architecture of the resort is inspired by a rice paddy field, with greenery dominating the spaces. 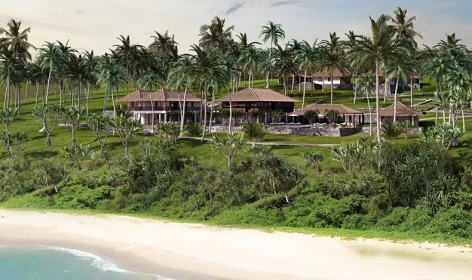 This is going to be the fifth Alila-managed property on the island, but the chain is to open four more hotels in 2015. 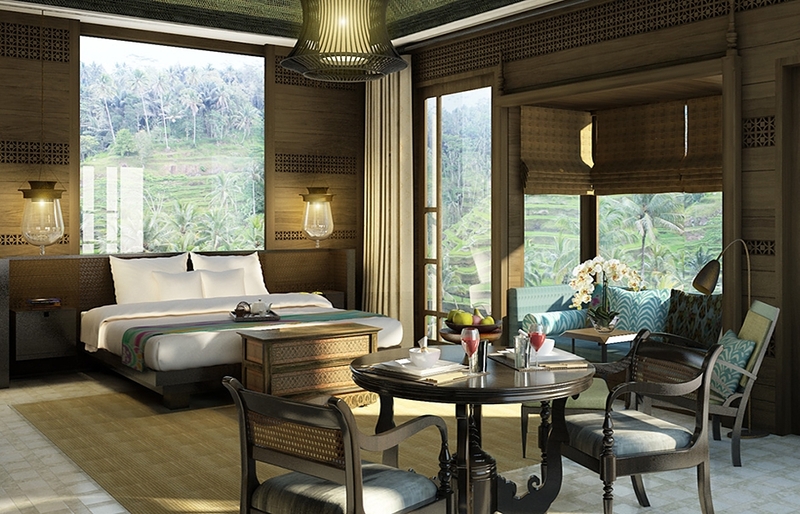 Still in Indonesia, we are looking forward to see the unveiling of Alila Solo Surakarta and Alila SCBD in Jakarta. 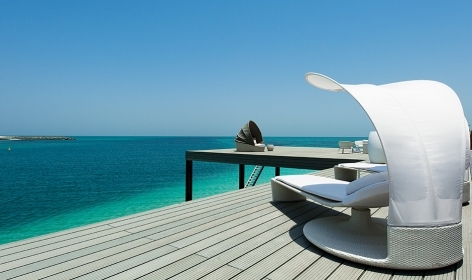 The brand is also expanding to China, with Alila Anji in Zhejiang and Alila Xiangshuiwan in Hainan. 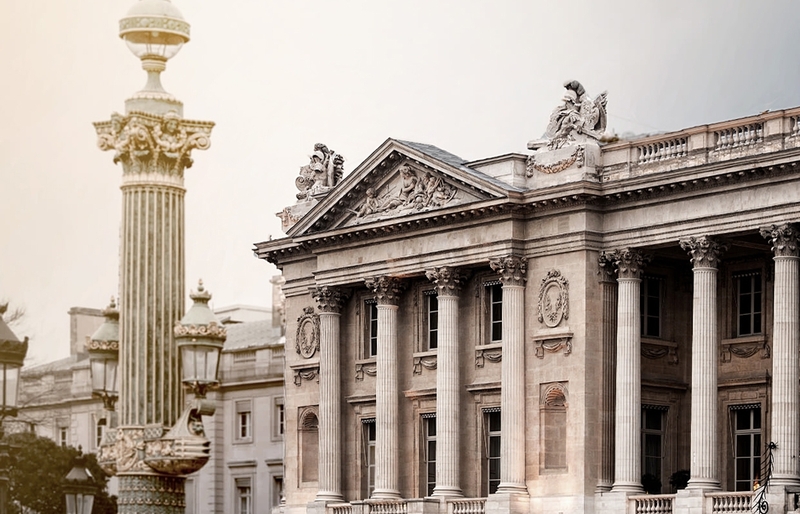 Hôtel de Crillon is more than one of the world’s most well-known hotels. It’s a Parisian institution that is as much a symbol of its host city as are many famous monuments and buildings. It personifies the spirit and elegance of the “city of lights”. 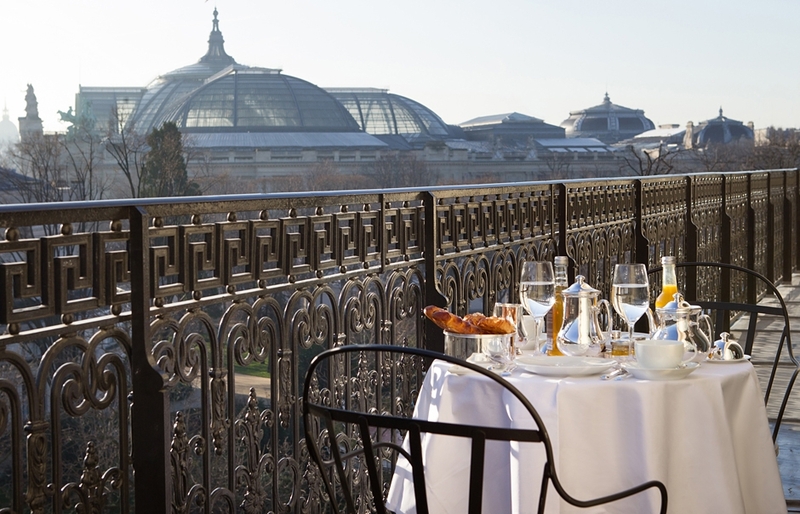 Overlooking Place de la Concorde since 1758 (then known as Place Louis XV), de Crillon welcomes guests to the most desirable address in Paris from mid-2015. That’s when the hotel reopens, following a multi-million renovation—though judging by the number of huge industrial cranes we saw recently when passing by, there could be some delay. 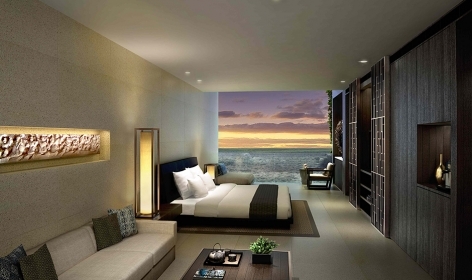 The Anantara brand is debuting in Sri Lanka with two hotels. 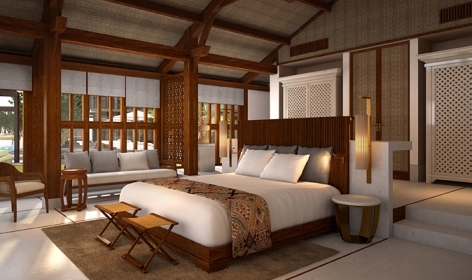 Scheduled to open late this year is Anantara Kalutara Resort & Spa, but first one to open is Tangalle Resort & Spa, on the island’s south coast. The resort is established in a beach-side town of Tangalle, some 80 kilometres east of the historic fort city of Galle. The 152 guest rooms (including 32 pool villas), restaurants, bars and spa are set up over 18 hectares of coconut palm groves. 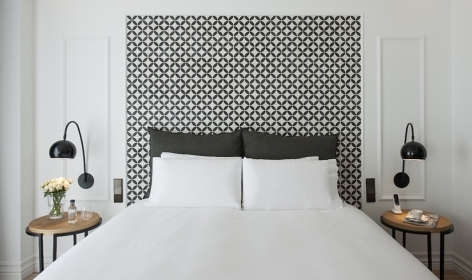 The Serras is a new 30-room city retreat and a Design Hotels member, boasting a prime address near Barri Gotic, El Born and Barceloneta (and incidentally sharing it with the historical Picasso studio). The hotel’s rooftop terrace offers gorgeous views over this popular neighbourhood. We love how the building’s neo-classical facade works with airy, light interiors: elegant and fresh, the sleek design combines New York and Catalan styles. 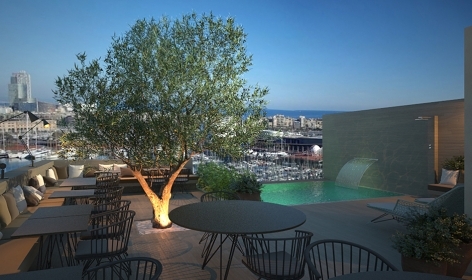 Another cool new opening we have to mention is the Soho House Barcelona, very close to The Serras—and a clear sign that this area is now the city’s hottest neighbourhood. This boutique resort could become one of the best-looking hotels in Siem Reap (don’t worry Amansara, we still love you). Surrounded by acres of lush gardens and paddy fields, its forty-five villas reflect authentic Cambodia in a beautiful style. A mere 10 minutes drive away from the Angkor Wat site, Phum Baitang guarantees plenty of relaxation after sightseeing, with a 50m infinity pool, spacious spa, two restaurants, and a sunset bar. 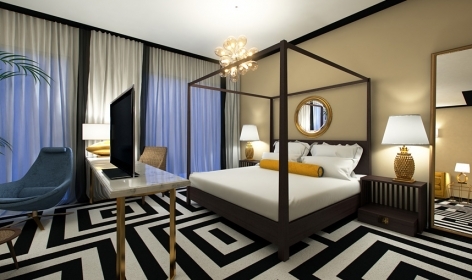 Starwood continues its vigorous global expansion. 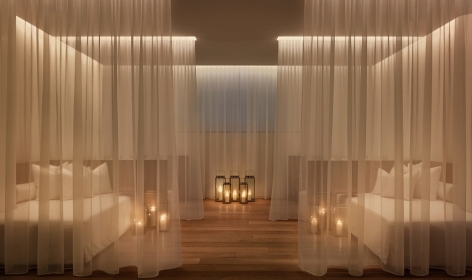 To us the most interesting openings are happening under their W brand: W Santa Fe in Mexico City and W Amsterdam in the Netherlands open in September and India’s W Retreat & Spa Goa in November, followed by a debut in Israel with the W Tel Aviv (December 2015). 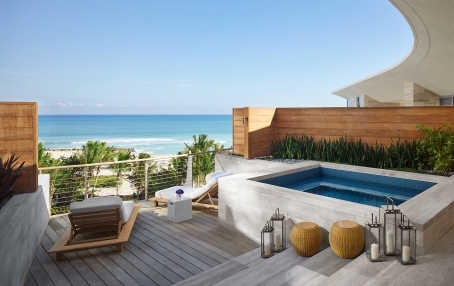 For the moment the Mexican opening of W Kanai Retreat in Riviera Maya steals the show. 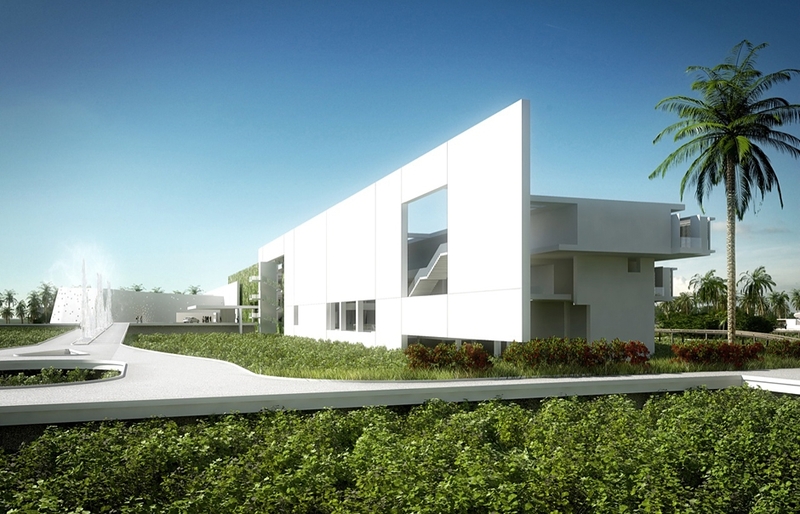 Designed by Richard Meier, this Yucatan property takes a subtle inspiration from pre-columbian historical monuments to create a beautiful minimalistic architecture. 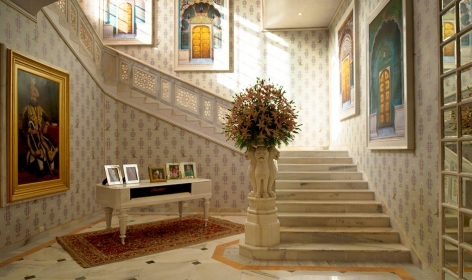 Apart from 180 rooms, the hotel has spa and fitness facilities, two restaurants and three bars. 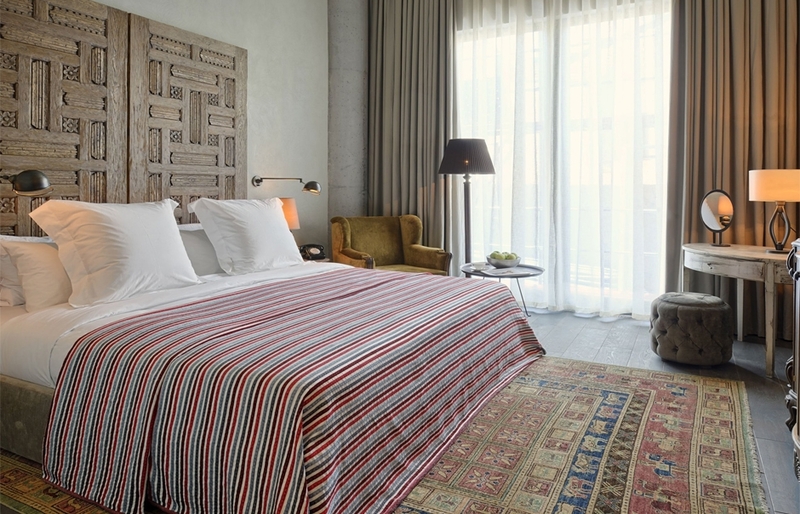 So far established in New York, Chicago, Berlin, the Soho House unveils its first Istanbul property in March 2015. 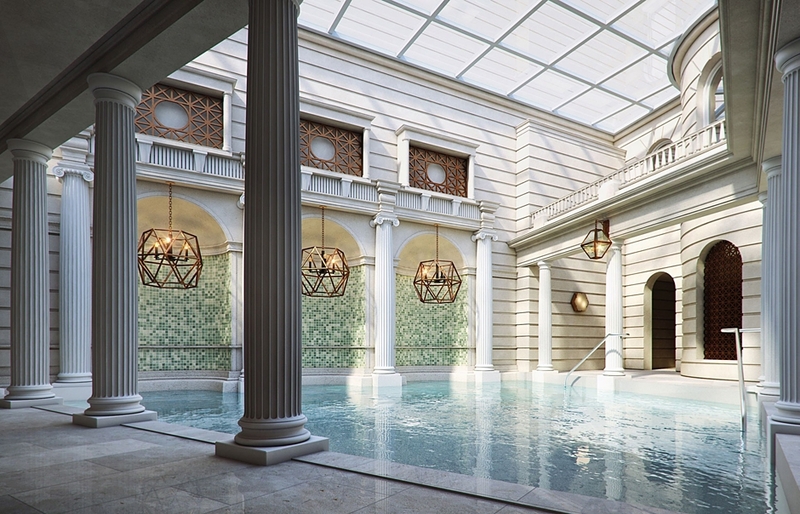 Located in the Beyoglu neighbourhood and spanning three buildings, with the palatial mansion of Palazzo Corpi (a former U.S. Consulate) at its core, this is the biggest property yet from the trendy hotel chain. 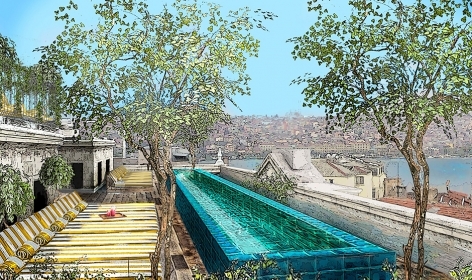 The Istanbul hotel features 87 rooms of various sizes, two rooftop pools, a fitness centre and spa. 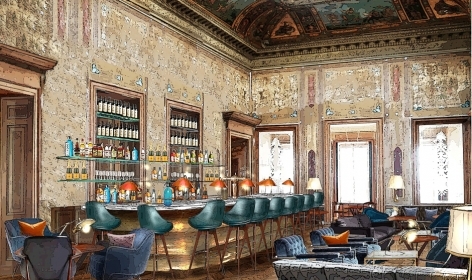 By the way, promising a very different experience is the planned for June this year Soho House Farmhouse, established in the heart of a 125 acre estate near Chipping Norton in Oxfordshire, UK. 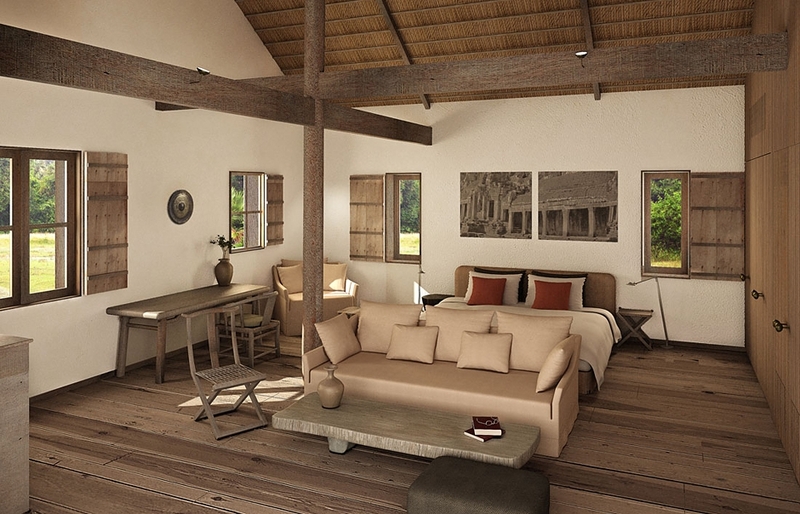 After taking over the old Benguerra Lodge, overhauling it and bringing the entire lodge to a high-end standard expected from &Beyond, the Benguerra Island welcomes its first guests in June 2015. 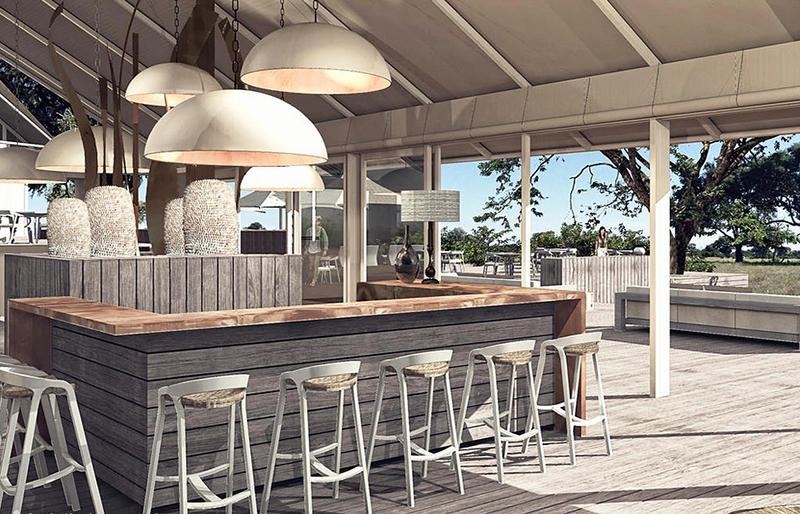 The 12 huts of &Beyond Benguerra Island are all getting a brand new look, with light and airy spaces and bespoke furniture befitting the luxury island lifestyle. The island’s two boats are being refurbished too: the Flamingo, a traditional sailing dhow, and the Stiletto, a large, double-hull catamaran used for snorkelling trips. Despite what you might have heard, The Ritz-Carlton Langkawi is not opening this year, having been postponed to at least 2016. 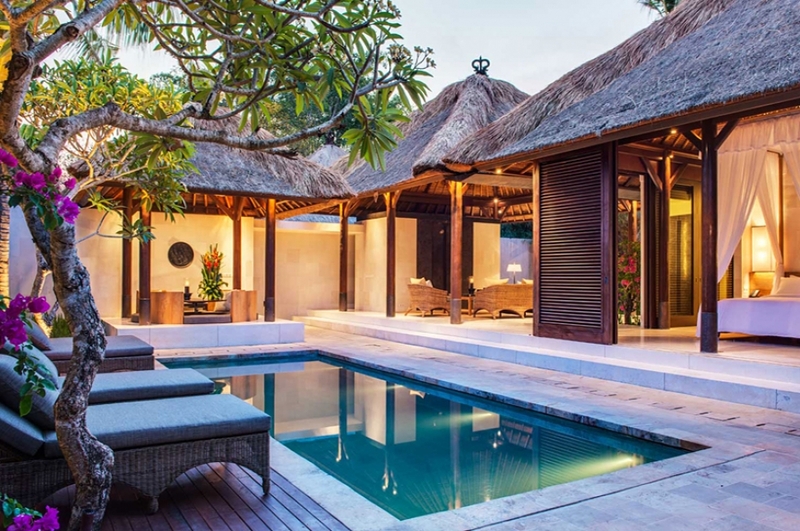 But that’s OK, there are other great openings from this luxury brand to talk about in 2015—and the first one is Mandapa (but look also for item 43 on our list). Anyway, the Mandapa. It’s an intimate property of 60 luxurious pool villas and suites, built amongst lush rice paddies and rolling hills, to the backdrop of the quiet Ayung River. Borrowing from the best features of the the Balinese architecture and craftsmanship, the hotel’s design captures the magic of Ubud. Originally opened in 1906 and the rumoured birthplace of the Martini, in 2015 this legendary New York landmark is getting transformed into a sophisticated urban hotel. 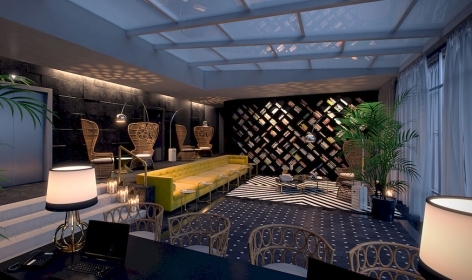 The remade, reinvigorated hotel has 330 rooms and suites, offering a promise of the New York luxury lifestyle. 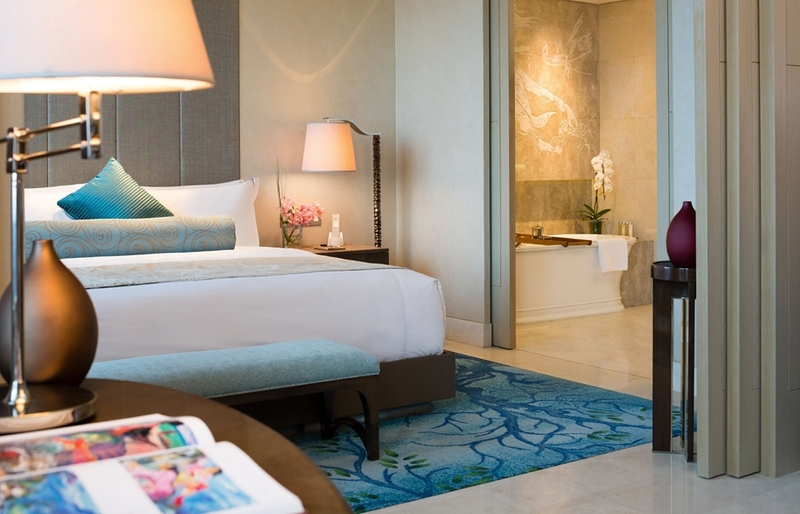 Situated at the heart of the central business district in Jakarta, the Raffles Jakarta features 173 rooms and suites, but the hotel also has an expansive spa, three restaurants and two bars. It’s a sister property to the legendary Raffles Singapore, which we visited to try the Singapore Sling. 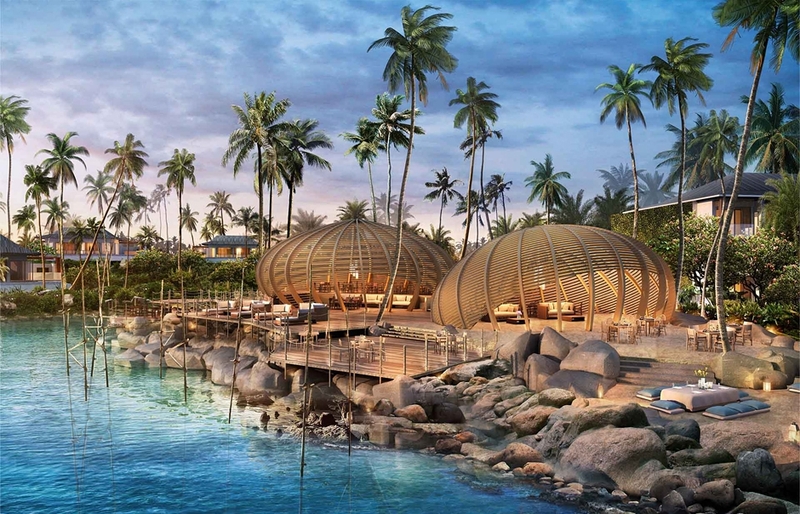 Apart from Seychelles, the Six Senses brand is also coming to Europe this year. The first opening is the Six Senses Douro Valley (photo, left), expected to open in spring 2015. 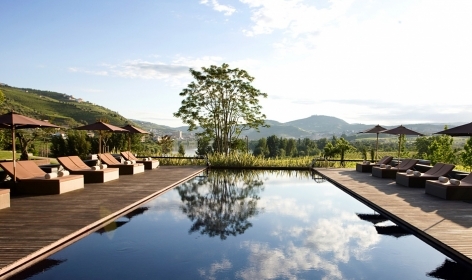 Set in a restored 19th-century manor house, the 71-room resort overlooks a vine-covered rolling hills of the Douro Valley. This is to be followed by Six Senses Mont Blanc in France (photo, right), in late 2015. It’s a new territory in more ways than one—after all it’s a ski resort, build by a chain most comfortable with beach hotels. Never-mind. 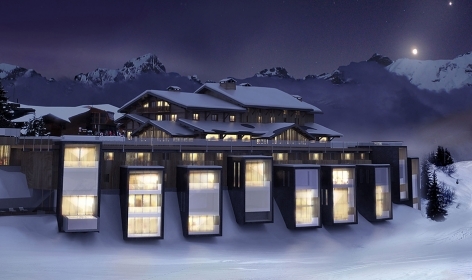 This 32-suite Mont Blanc resort looks stunning, and it offers a panoramic view of Europe’s highest peak. 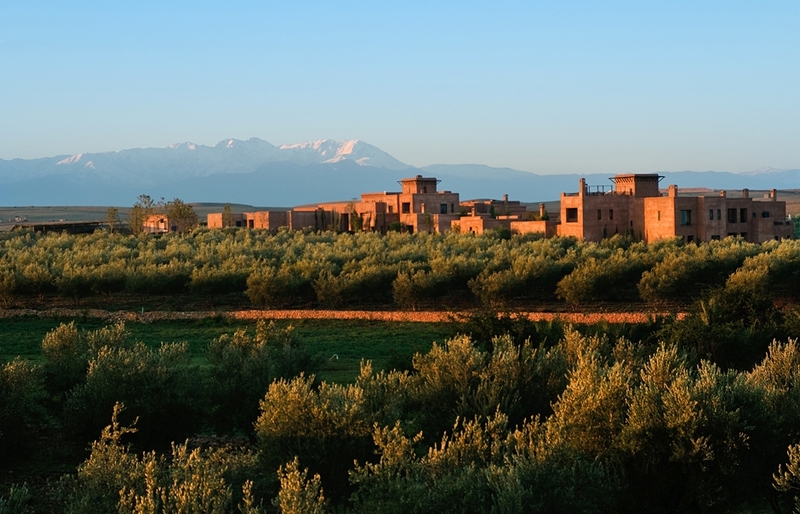 Hectares of landscaped gardens and olive groves, 54 private villas, a world-class spa and 5 innovative restaurants and bars—all this just minutes from the bustling Marrakech Medina, and to the backdrop of the snow-capped Atlas Mountains. Mandarin Oriental is a truly unique oasis of luxury in the heart of the city. 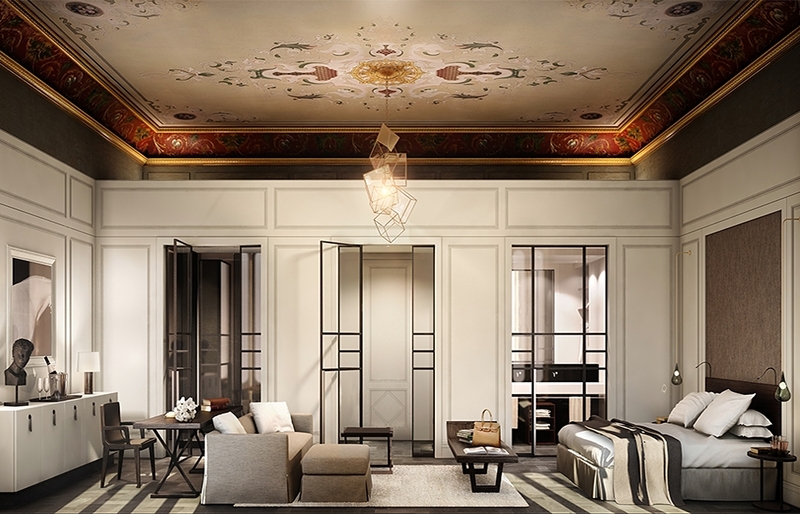 Another great hotel from Mandarin is set to open within the next 12 months: the Mandarin Oriental Milan in Italy. 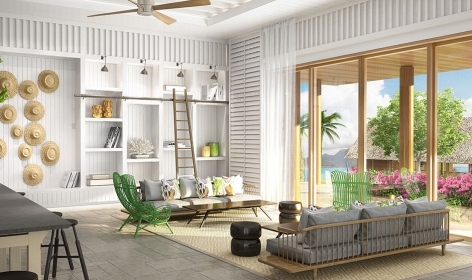 The luxury hotel group GHM is planning to unveil two new properties this year. 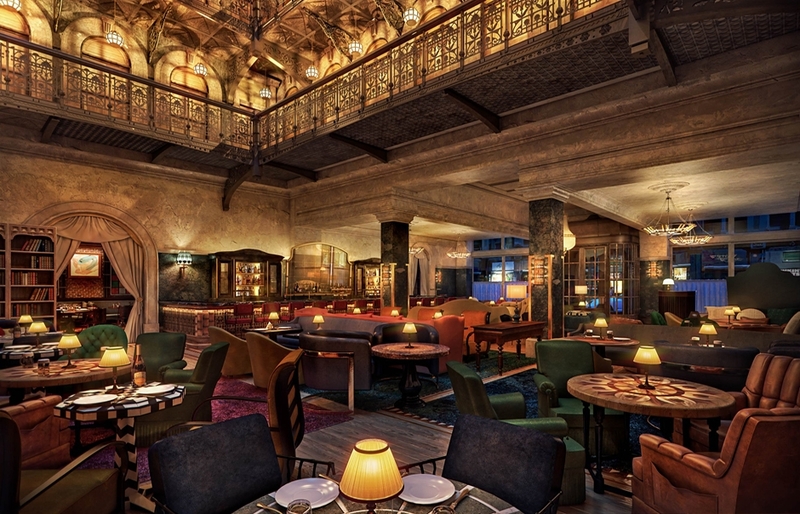 There is the new luxury hotel Aayu Mumbai in India, but the 54-room Al Bait Sharjah in the UAE looks more interesting. Scheduled to open in early 2015, the Sharjah has been beautifully designed by the UK-based architectural firm GAJ. 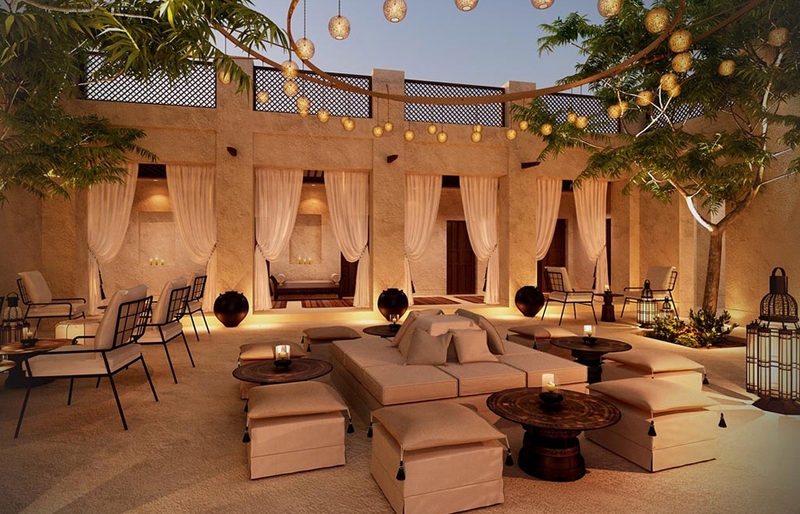 Its arched porticos, rooftop terraces, inner courtyards and wall-mounted lanterns all work together to fuse an authentic Arabian experience with contemporary luxury. GHM employed the expertise of the same architect firm to design The Chedi Khorfakkan, also in Sharjah, though that’s not expected to open until 2016. Both new resorts are joining the reviewed by us Chedi Muscat in Oman, which GHM has been managing for years. 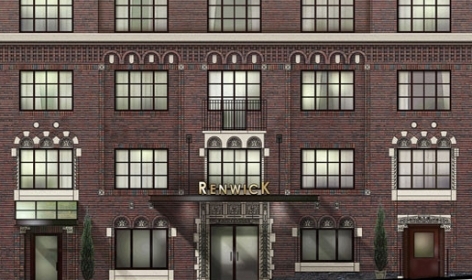 Occupying a building that use to host artists and writers, the 173 loft-style rooms of the Renwick are referencing the world of art and creativity. Bespoke furniture pay homage to easels or work benches and carpet patterns remind of a paint-splattered concrete. Surrounded by the rugged beauty of Turkish coastline, Viceroy Bodrum sprawls over 32 acres by the beaches of Koyunbaba Bay. Designed by internationally acclaimed architectural firm WATG, the resort has 84 guest rooms and 166 residences, as well as a private beach club, spa and several dining venues. Set on the breathtaking beachfront of southernmost shore of Sri Lanka, Ani Villas is a fully-serviced luxury beachfront estate of only 15 guest rooms. 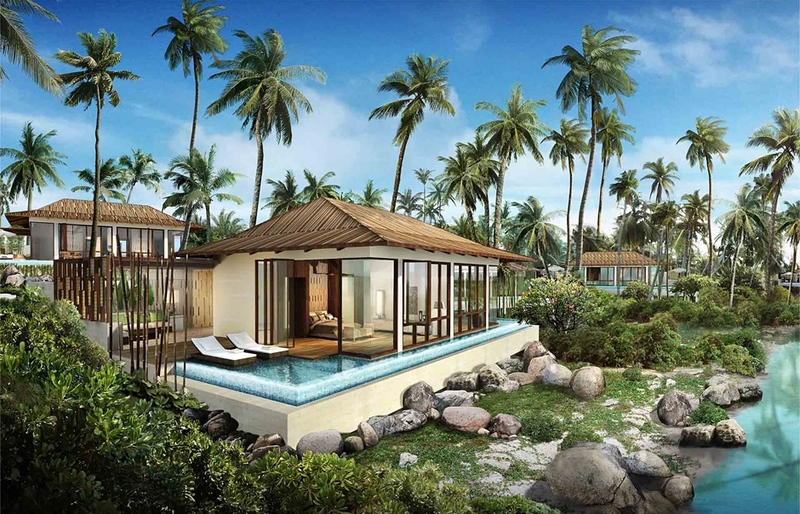 Created by the Paris-based architect Reda Amalou (a designer behind the Nam Hai and the Six Senses Con Dao in Vietnam), the resort comes with spa, large oceanfront pools, children’s facilities, and plenty of spaces for dining and entertainment. 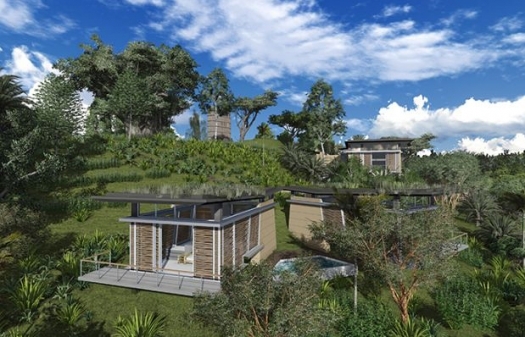 This year the brand will be also coming to Thailand, with Ani Villas Thailand, a stunning 10-villa resort designed to reflect the style of Buddhist temples in the north. 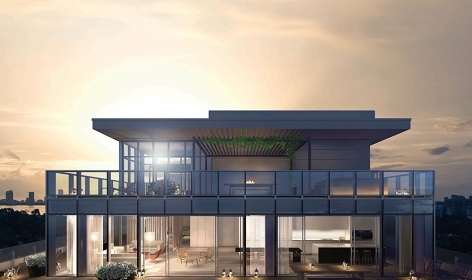 Born from a partnership between hotelier Ian Schrager and the giant Marriott, the Edition brand is set to redefine the Miami luxury resort scene with the new Miami Beach EDITION. Elegantly designed, with intricate bungalows and spaces—including the spectacular rooftop penthouse—the hotel is a real stunner. 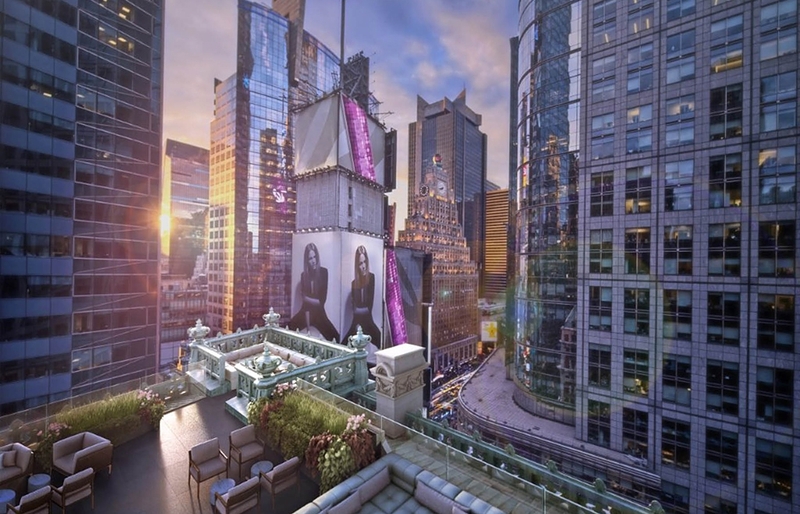 Better yet, 2015 will see not one but two opening from the Edition: its New York property opens in April. We know Grace from its hotels in Mykonos and Santorini, but this one is set in the foothills of the Atlas Mountains. And although it has an easy enough access to the hustle and bustle of Marrakech, this tranquil hideaway is as far removed from the busy everyday life as it gets. 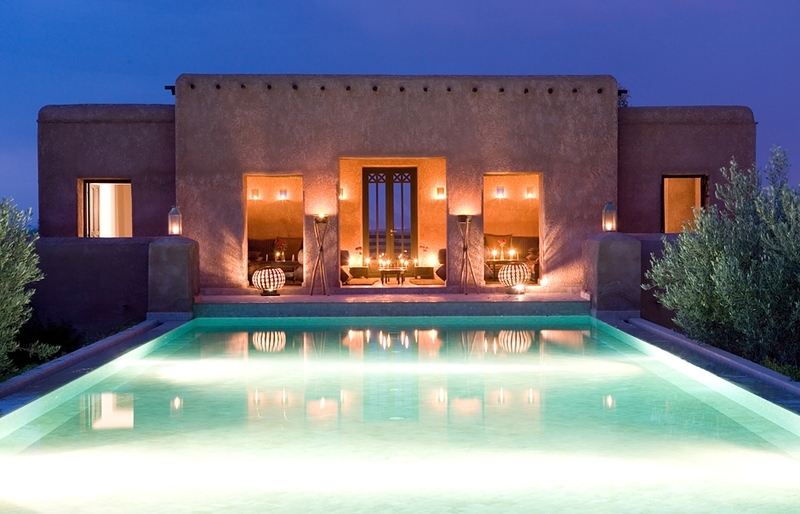 Set in 15 hectares of Moroccan countryside and designed with muted tones echoing traditional Berber clay houses, Grace Marrakech comprises 18 suites and lofts and has a traditional farm kitchen, a fully serviced spa with hammam, its own farmstead with olive trees, vegetable gardens and horse stables. It’s a luxury rural retreat and a world unto its own. Bath has served as a leisure and wellness centre for well over 2000 years and its archaeological and architectural heritage is ranked among the finest in the world. Building upon this unique tradition, the custom-furnished 99 rooms of The Gainsborough Bath Spa subtly references period details, in harmony with contemporary elements. 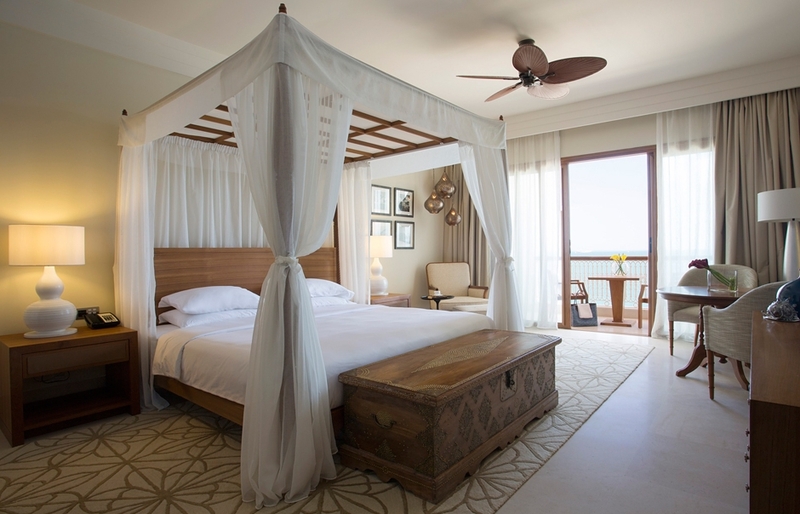 Featuring 67 spacious guest rooms and suites, with design inspired by an opulent Omani residence; and a prime location on the beachfront of Stone Town, the Park Hyatt Zanzibar is set to seriously up the game for the Zanzibar hotels. 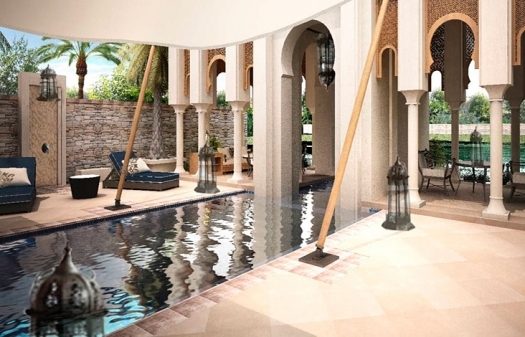 Another opening from The Hyatt Hotel Group we were looking forward to this year was Park Hyatt Marrakech but it looks like this one is postponed at least until 2017. This is as an undiscovered a destination as it gets. Until recently some of the islands in the Andaman Archipelago were off-limits to visitors—and the remoteness and lack of good transport links didn’t encourage tourism either. But this is changing. Jalakara is the first boutique hotel in the Andaman Islands. With just seven luxury rooms and suites and a stunning 16-metre infinity pool it has already set the standard incredibly high. Owned by a high-profile London chef and a fashion designer, and designed in a boho-luxury style, the Jalakara is a very desirable tropical hideaway. 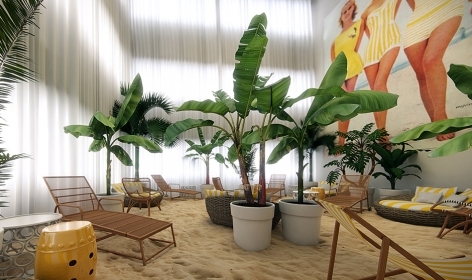 A member of Design Hotels, the new Brown Urban Beach House hotel offers 40 spacious rooms and suites, private sun terraces with sea or city views, spa and business facilities—and a quirky indoor “urban beach lounge”. 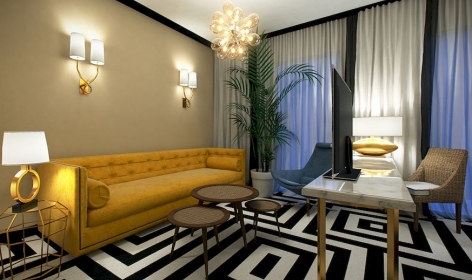 This is the first boutique, high-end hotel on the Tel Aviv’s waterfront—and we love its interior design, infused with a retro vibe. 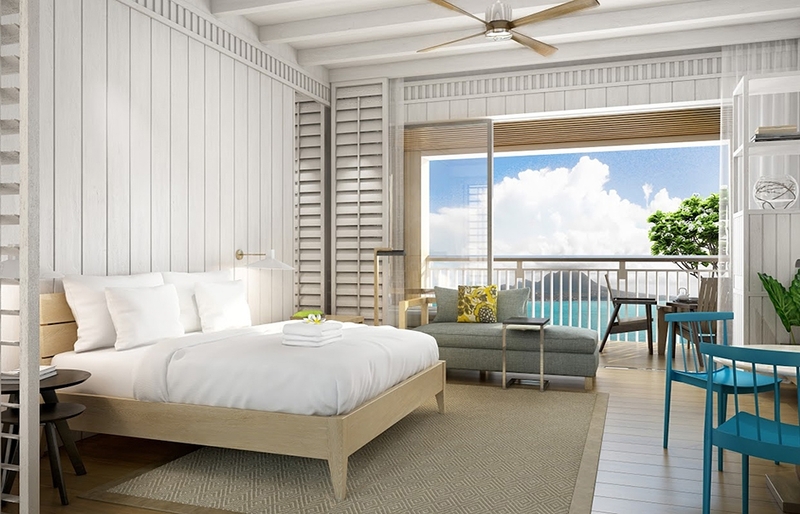 January 2015 is a good month for hotel openings—several have officially launched, not least of which is Zaya Nurai Island. 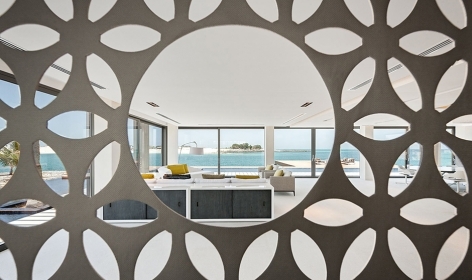 It’s Abu Dhabi’s hottest new address—but first of all a boutique beach hotel of 32 sublime villas, with a dedicated butler on hand 24 hours a day. 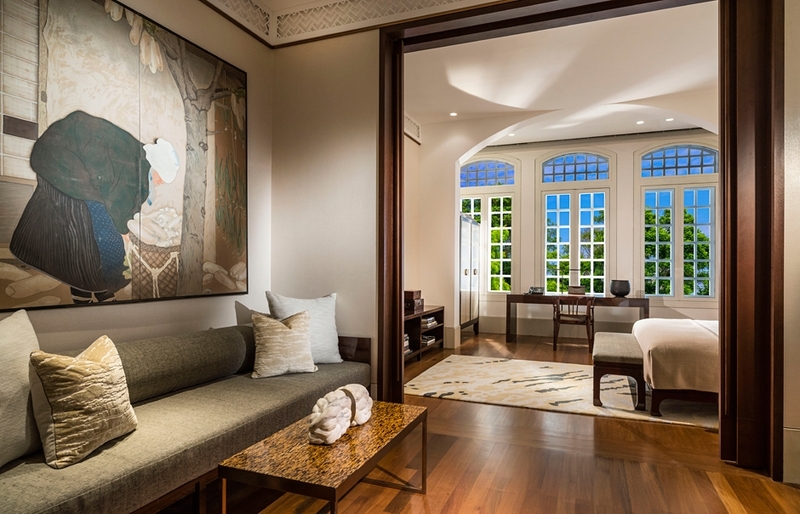 Owned by Singapore’s Kwee family (whose Capella Singapore we reviewed), the Patina has 157 beautifully understated guest rooms and suites, spread across two lovingly restored, heritage-listed buildings: Stamford House and the Capitol Building. The hotel is at once traditional and contemporary, and its intimate atmosphere provides a respite from the the breakneck speed of the world’s metropolis. Patina staff double as concierges—an idea that fosters the creative skills of employees and challenges them to provide a highly personalised experience for guests. 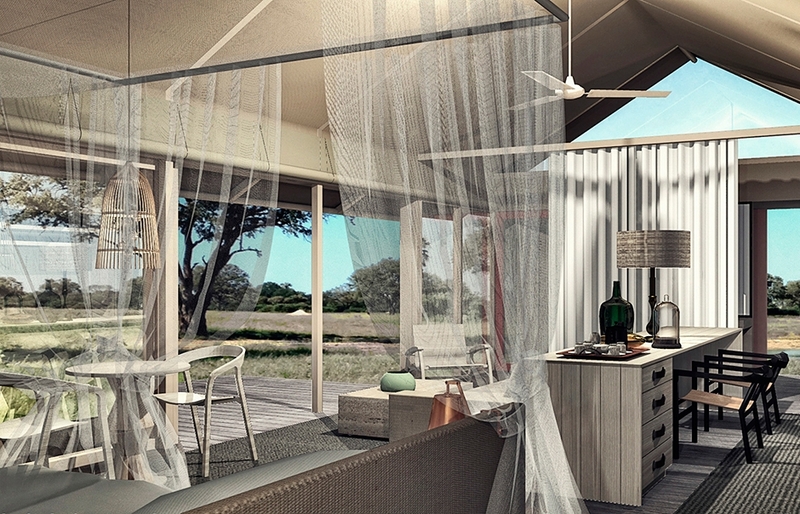 Situated in a private concession of Zimbabwe’s Hwange National Park, this is the newest opening from our favourite safari provider Wilderness Safaris. Already said to be the most luxurious accommodation on offer in the area, Linkwasha Camp consists of eight glamorous en-suite tents, a swimming pool, and a winter lounge with library and fireplace. This is an example of phoenix raising from the ashes. 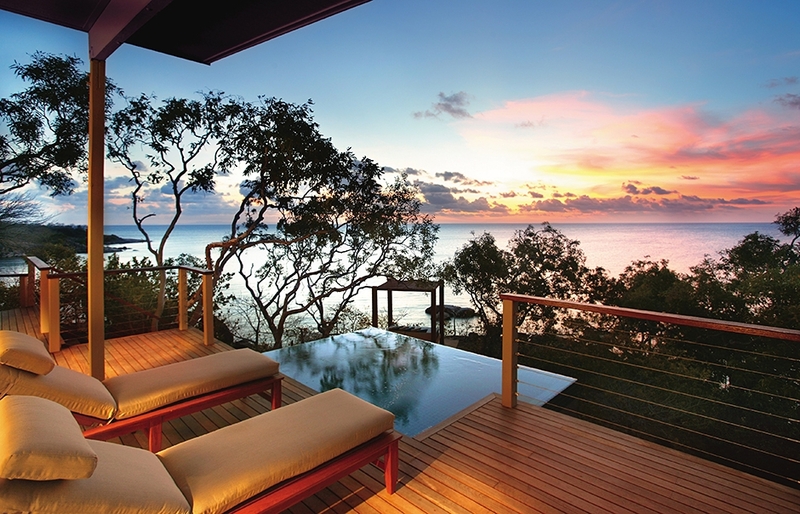 Destroyed in the Cyclone Ita, the Great Barrier Reef resort Lizard Island turned the calamity into an opportunity—for extensive refurbishment and refitting. After 12 months of work, the hotel unveils not only the refurbished old, but some new additions too. 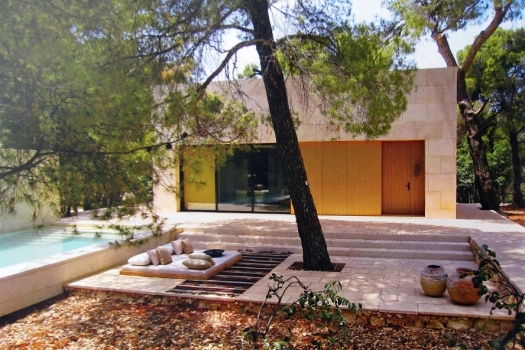 There are new villa types and many older suites are expanded and redeveloped. New is also a dedicated deli room, and the spa has been relocated and expanded. 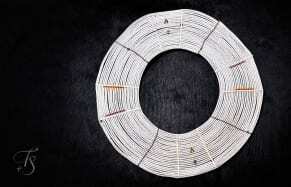 What’s old? The spectacular, dazzling diving and snorkeling—and barefoot luxury. 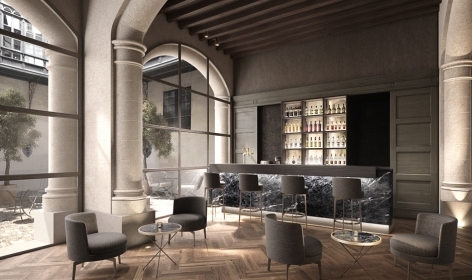 An elegant manor house that remained virtually unchanged throughout its 135-year history has just undergone a careful restoration and is opening its doors as the Sant Francesc Hotel Singular in spring 2015. Fitted with 42 rooms and suites and furnished with expertly selected fabrics, antiques and bespoke furniture, the hotel benefits from beautiful original architecture and great location in the prominent square of the Sant Francesc church. 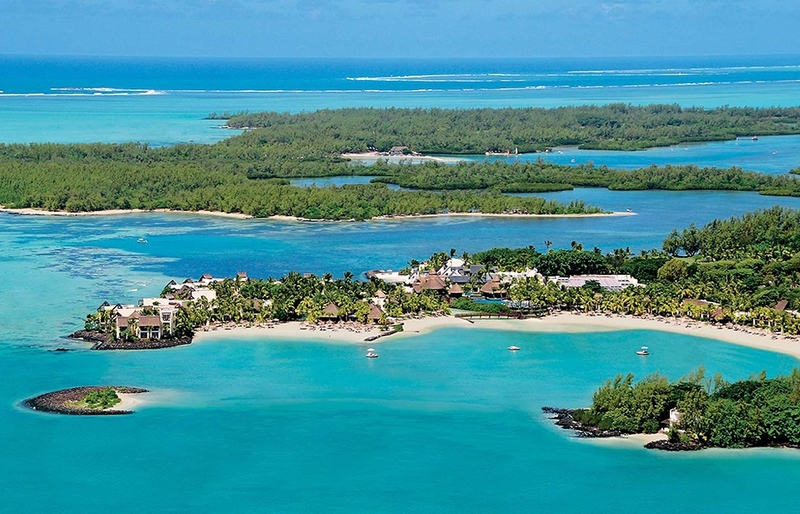 The well-known, distinguished Le Touessrok is reflagging as Shangri-La’s Le Touessrok Resort & Spa and relaunching in September 2015 under new management. 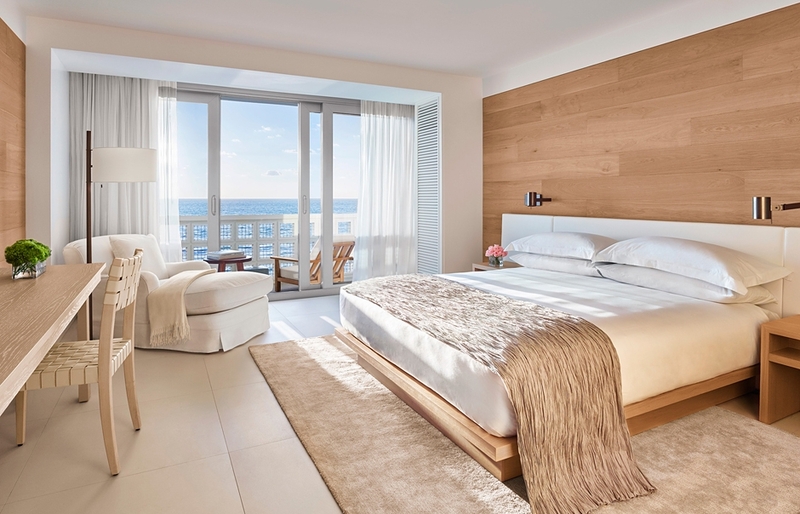 Renovated and reinvigorated, the five-star resort has 200 guestrooms and suites and only three villas—all with sea views. Le Touessrok continues to offers guests access to two islands, Ilot Mangenie and Ile aux Cerfs, a home to a 18-hole golf course. 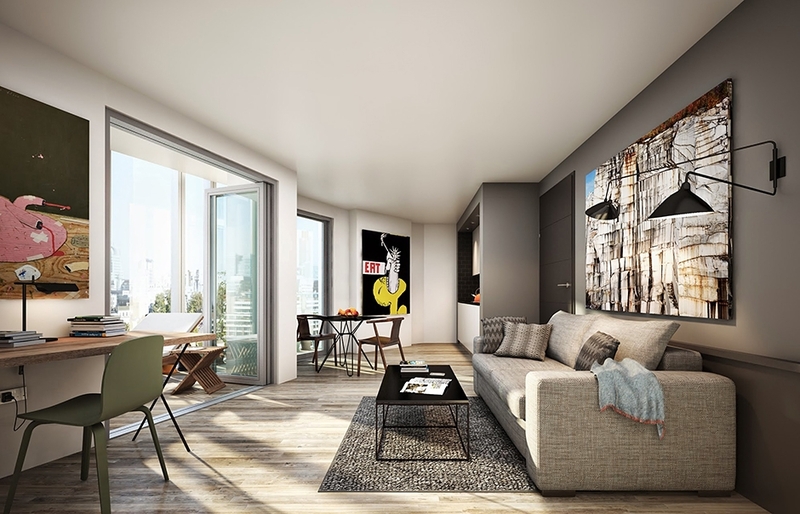 This new arrival combines a touch of Manhattan vibe with British luxury design, striking the perfect balance between a hotel and discreet residential living. Each of the 100 suites of Urban Villa offer a fully fitted kitchen and private winter garden, accommodating both overnight and long stays. 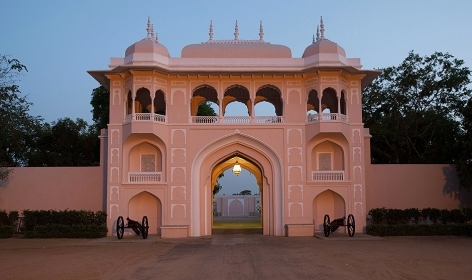 Founded by the Maharaja of Jaipur in 1729, the palace hosted visiting monarchs, princes and lords. 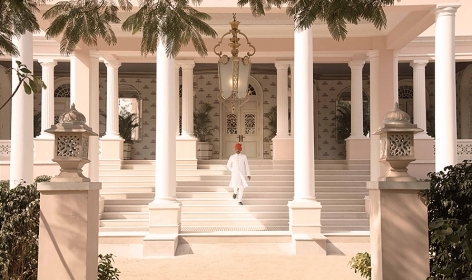 Now the Suján Rajmahal has been reimagined as an all-suite luxury hotel. Opened anew, the Suján carries traditional royal motifs and classical architecture, blending them with contemporary luxury. There are only 20 rooms and suites, accompanied by two restaurants, bar, spa and a swimming pool. This New York landmark is one of the first high-rises in the city. Currently undergoing a thorough restoration, the red-brick building opens its doors as a new hotel from Thompson in autumn 2015. 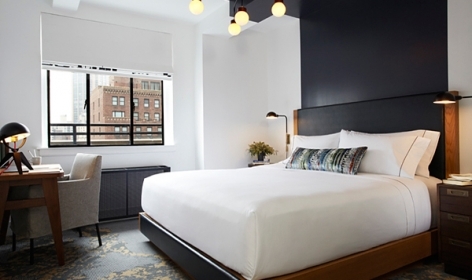 Offering 287 rooms and 68 units, rooftop terraces and signature restaurants, the hotel benefits from fabulous views over the Statue of Liberty, the Woolworth Building and the Brooklyn Bridge. A nine-storey-tall period atrium with glass ceiling brings the wow factor to the interiors and will surely be a talking point among the visiting guests. This year Shangri-La Group has many development projects in exotic destinations, including Doha (Qatar), Ulaanbaatar (Mongolia), Qinhuangdao China and Manila (Philippines). 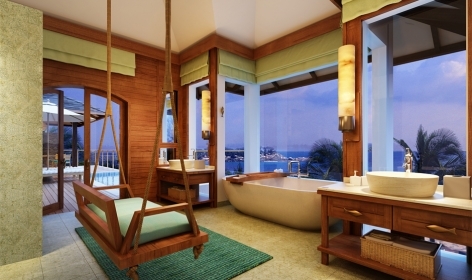 Our favourite is Shangri-La’s Hambantota Resort and Spa in Sri Lanka. 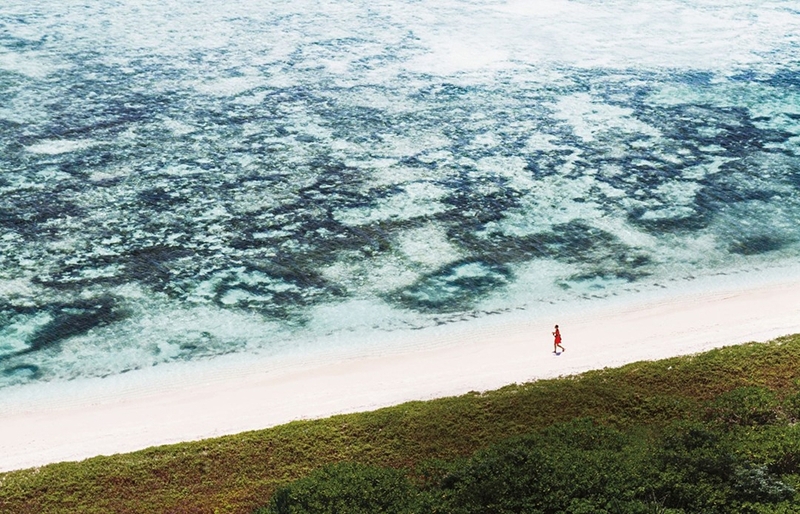 This 375-room beach hotel is surrounded by an 18-hole golf course and coconut plantations, and feels as an almost natural extension of the area’s ecosystem. Sri Lanka’s Yala and Bundala National Parks and the island’s many heritage sites are within easy reach. 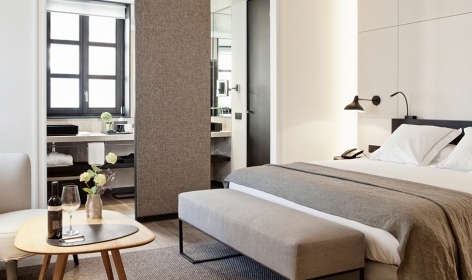 The Hotel Cotton House Barcelona is a brand new establishement from the Marriott’s boutique Autograph Collection, housed in a 19th-century townhouse. Set to open in March 2015, the hotel features 83 rooms and suites, several lounge areas, not least of which will be the impressive octagonal hall with two sweeping staircases. Opening: March 2015. Photo © Marriott International, Inc. The Swahili word after which this high-end safari camp is named aptly describes the setting, and the mood: angama means “to be suspended mid-air”. Each tented suite has 11m glass floor-to-celling windows, light canvas and sleek parquet floors, with decks overhung the Mara below. 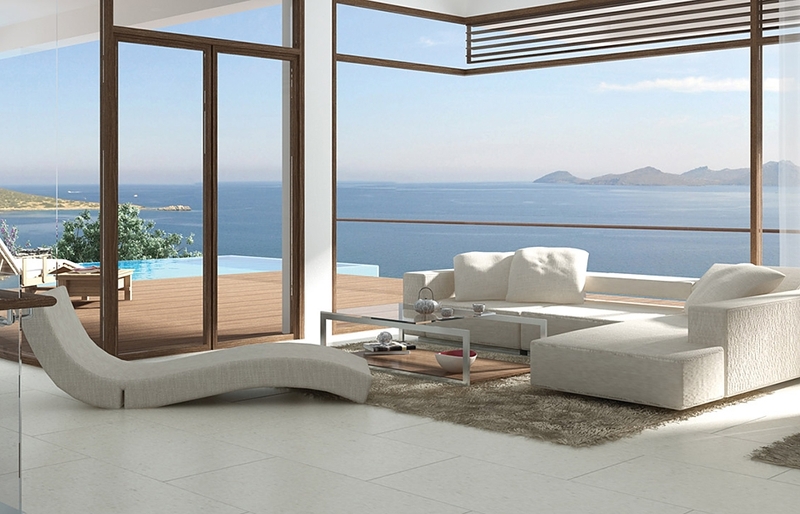 Mediterranean coast is the setting for the Banyan Tree’s new exclusive pool villa resort. At Tamouda Bay Guests can expect courtyards with reflecting pools, gardens and private pools, as well as the Banyan Tree’s excellent standards and its famous signature spa—which we absolutely love. 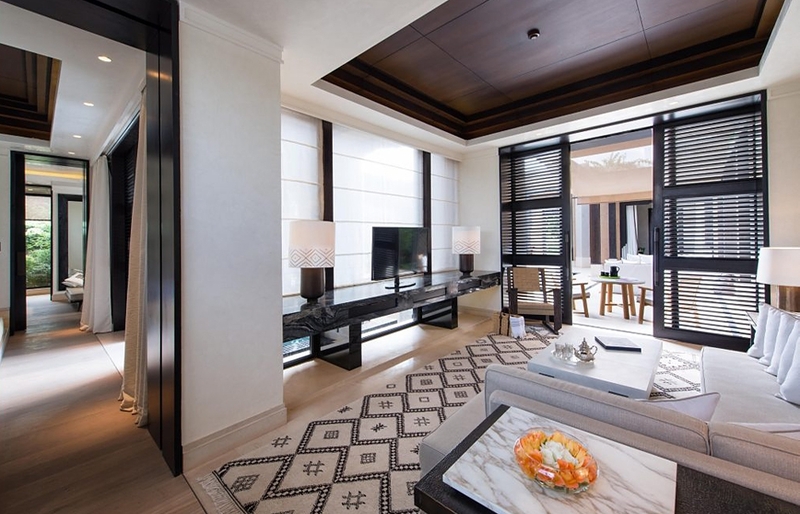 Worth at least a mention is also another opening from Banyan Tree this year, this time in Huangshan, China. This hotel is a Parisian landmark like no other. 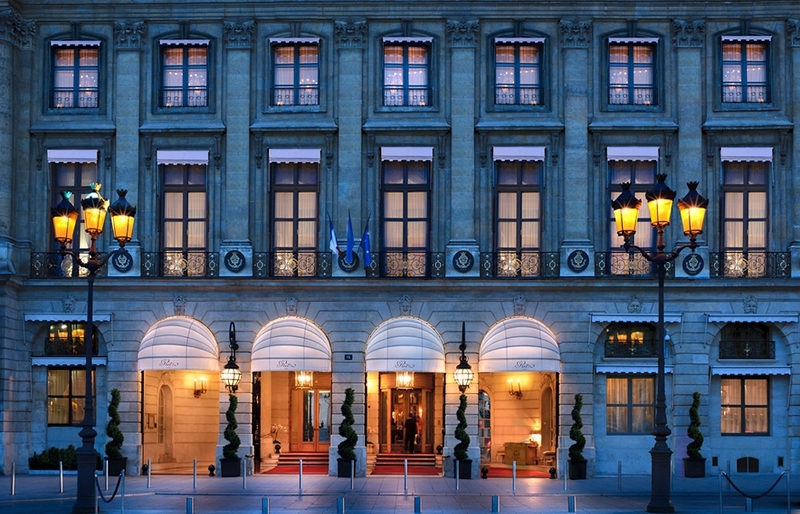 Established in 1898, Ritz Paris soon became a world-famous luxury hotel, its importance cemented by visiting celebrities, of the Proust and Hemingway stature. 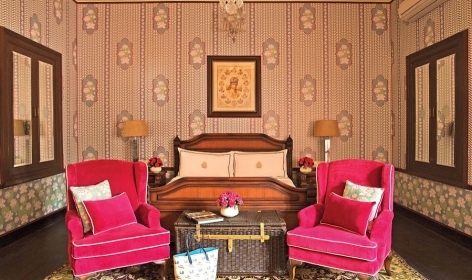 The Ritz closed for restoration in 2012, and the work is ongoing, under the direction of designer Thierry W. Despont. The 71 rooms and 72 suites (including 15 “prestige suites” that bear names of the most esteemed guests) are expected to welcome the first guests in the second half of 2015. 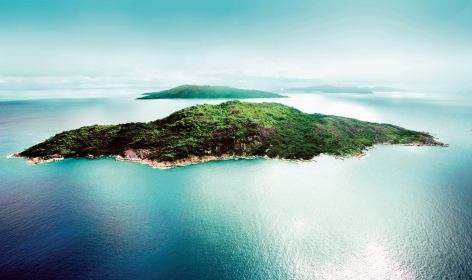 A new private island opening in the south of Cambodia? Yes please! We have experienced Song Saa and loved it—it comes as no surprise that other hotel firms see the potential of the Sihanoukville area. 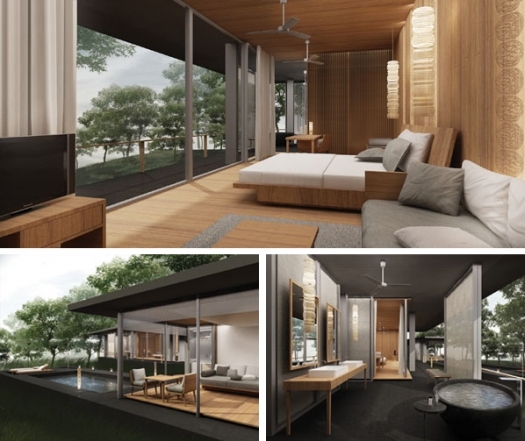 This time the developer is one of Thailand’s boutique hotel groups, the esteemed AHMS Collection. 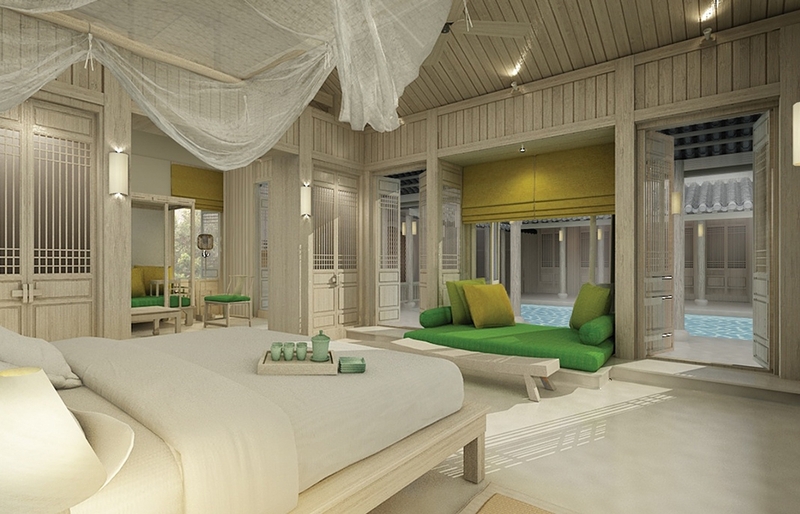 AKARYN Retreat at Koh Krabeay opens on a secluded island with only 35 private pool villas. 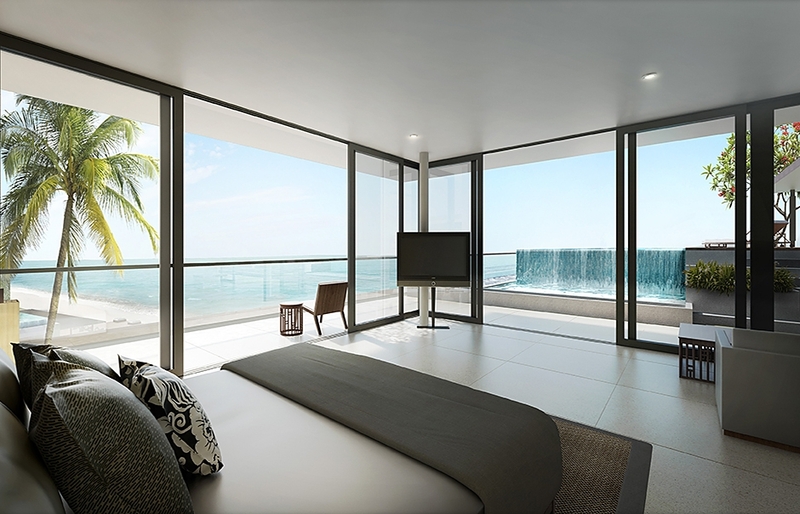 Designed to guarantee ultimate privacy, the villas feature a terrace with day bed, an ocean view garden and infinity pool. The openings are about the new, but nothing is as new as a new arrival in the luxury hotel industry. 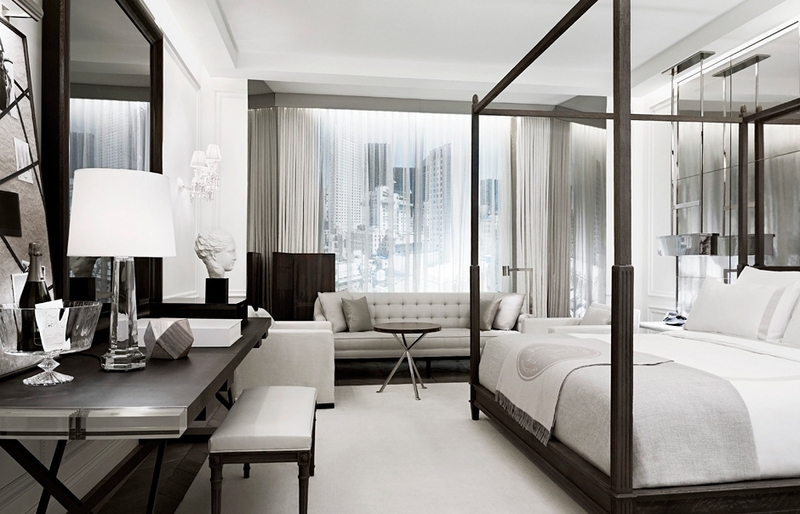 This is the first ever hotel opening by the luxury brand Baccarat—and in the heart of Manhattan at that. 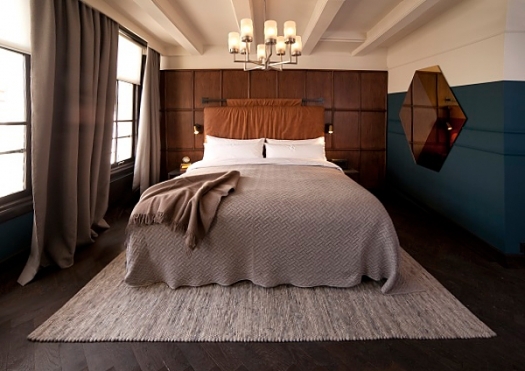 Expect 114 light-filled rooms and suites, created with a mixture of Parisian aesthetic and New York sophistication. And Baccarat crystals. This is an overseas venture of a hip, “affordable luxury” brand from London. 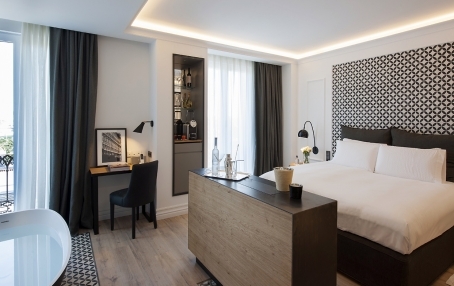 Spread over five townhouses on Amsterdam’s Herengracht canal, the hotel has 111 bedrooms, business facilities, restaurant and bar. Stylish and unfussy, the design wows with a masculine style: dark wood floors, velvet curtains, leather chairs and splashes of Vermeerian yellow and blue. 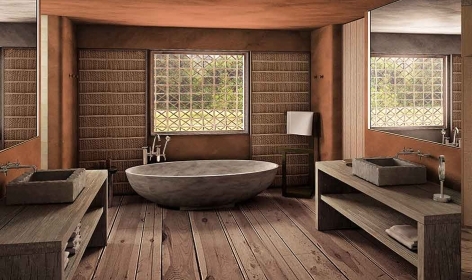 What is possibly Sri Lanka’s first sustainable “eco” luxury hotel, the 10-room Tri is inspired by nature in more than one way. It will have green roofs, solar arrays, recycled wood and local materials unifying interiors and landscape, but its beauty comes from one of the nature’s fundamental geometric principles, the Golden Ratio: the rooms are arranged on a spiral grid, circling an island cape. We anticipated its opening last year, but the launch obviously slipped to this one. 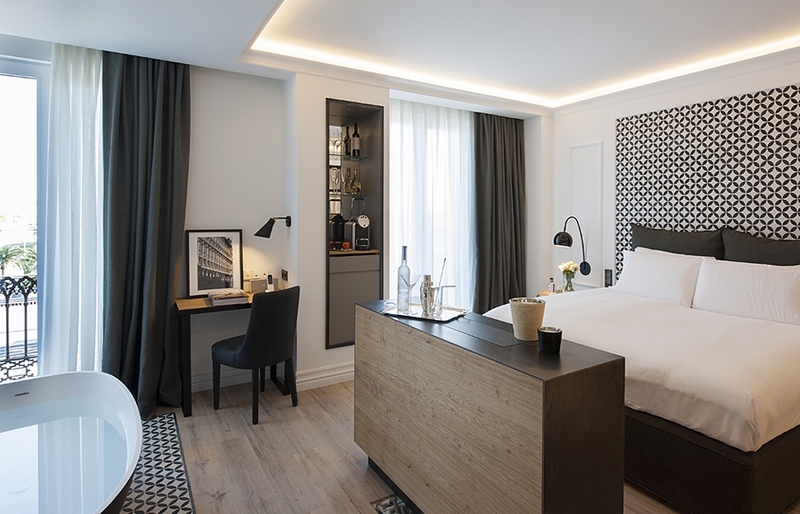 With a great address in the eight arrondissement, just few steps from the Palais de l’Elysée, the tasteful and elegant La Réserve promises to celebrate the French art of living in the luxurious package of ultra-personalized services. 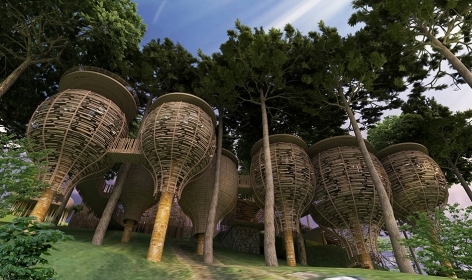 Last year we wrote about Qing Cheng as one of the anticipated hotel openings of 2014, meanwhile we are already into 2015 and are still waiting. 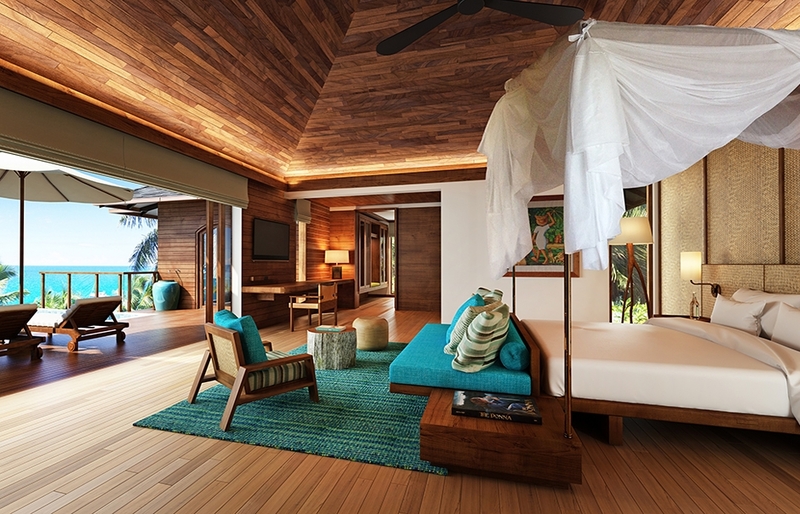 The longer the wait, the higher expectations—no pressure, Six Senses! Six Senses Qing Cheng is not the only hotel that slipped to this year, despite the best of intentions, no doubt. Postponed from 2014 to the second quarter of 2015 is also The Chedi Club Jimbaran in Bali from GHM Hotels. There is a good chance Ahn Luh Lanting in Shaoxing and and Ahn Luh Zhujiajiao in Shanghai (both in China) open in the first half of 2015. 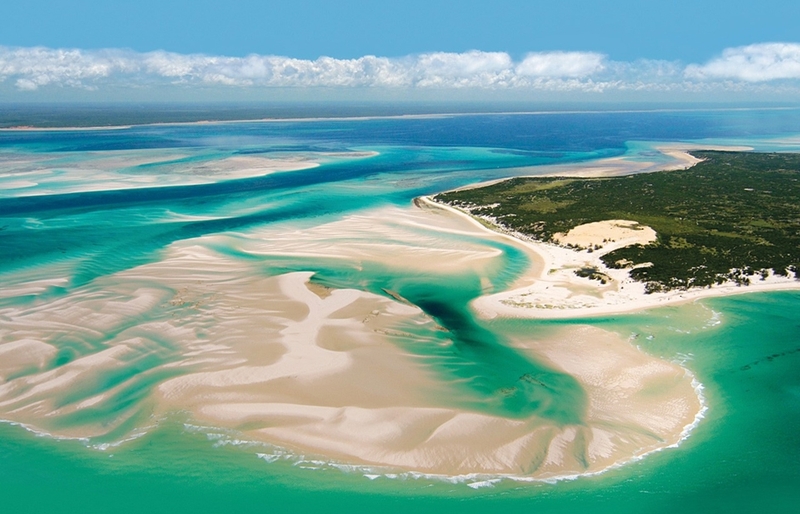 We are also hearing Singita may be opening a new lodge in Mozambique’s Vilanculos Coastal Wildlife Sanctuary. We also have some hot stuff for Aman Junkies. 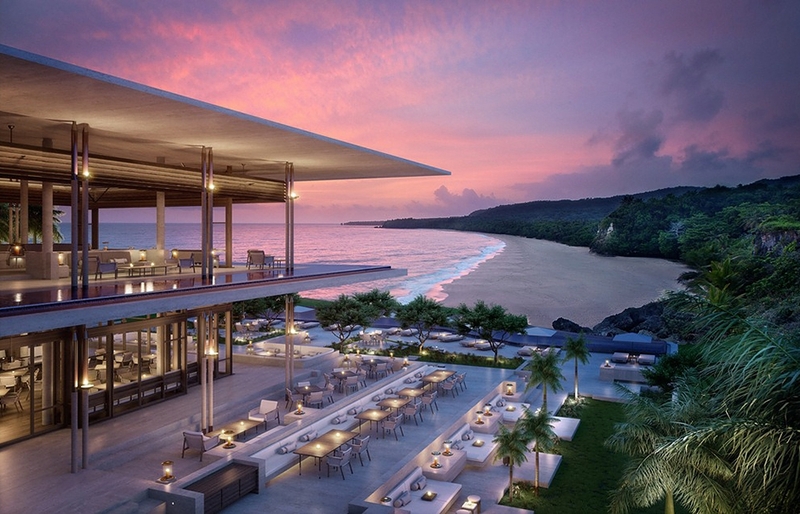 The Aman at Playa Grande Club and Reserve, Dominican Republic (photo above) might be opening autumn 2015. 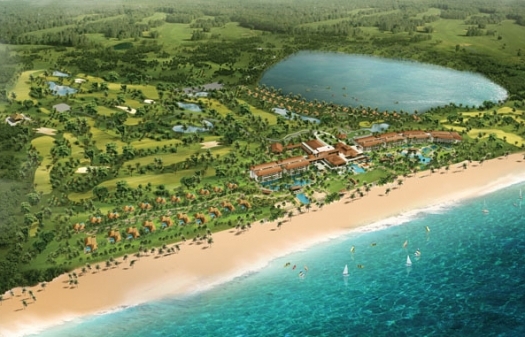 Apparently, it will be the first Aman with an integrated 18-hole golf course (designed by Robert Trent Jones). With its cliff-side location the resort will also benefit from uninterrupted ocean views and access to powder-soft sandy beaches. But that’s not all. On the other side of the world, in Jordan, just south of the ruined Roman city of Jerash is another Aman resort that may be soft-opening this year: Amanbadu (photo on the right). There is also the rumour about the Amandayan in Lijiang, located in China’s Yunnan Province. Mobile Citizens of the World: visit Paris!